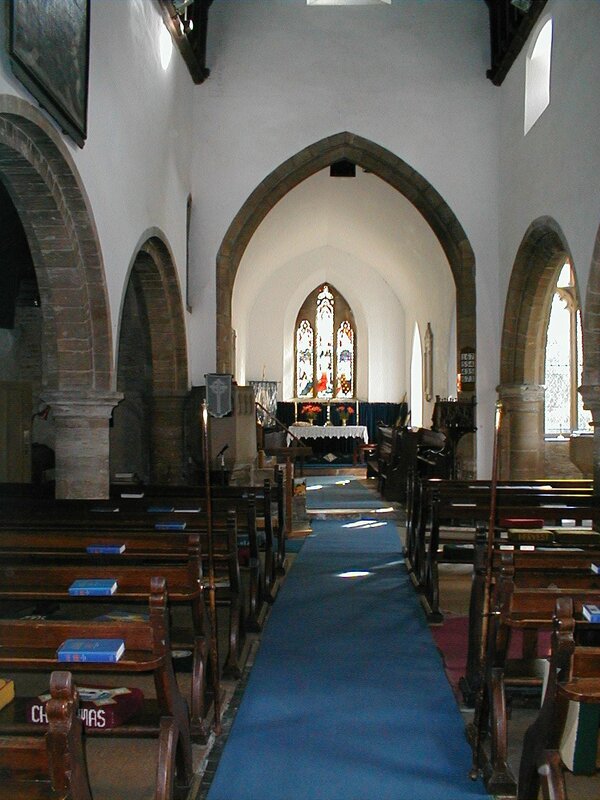 The oldest parts of the church building are the 13th century nave arches, although it is probable that a much earlier building stood on the site. The Vestry was originally a chapel built by John de Stilton in around 1338. Most of the church was rebuilt in the 15th century, but the South Porch and Vestry are mostly c.1500 AD. 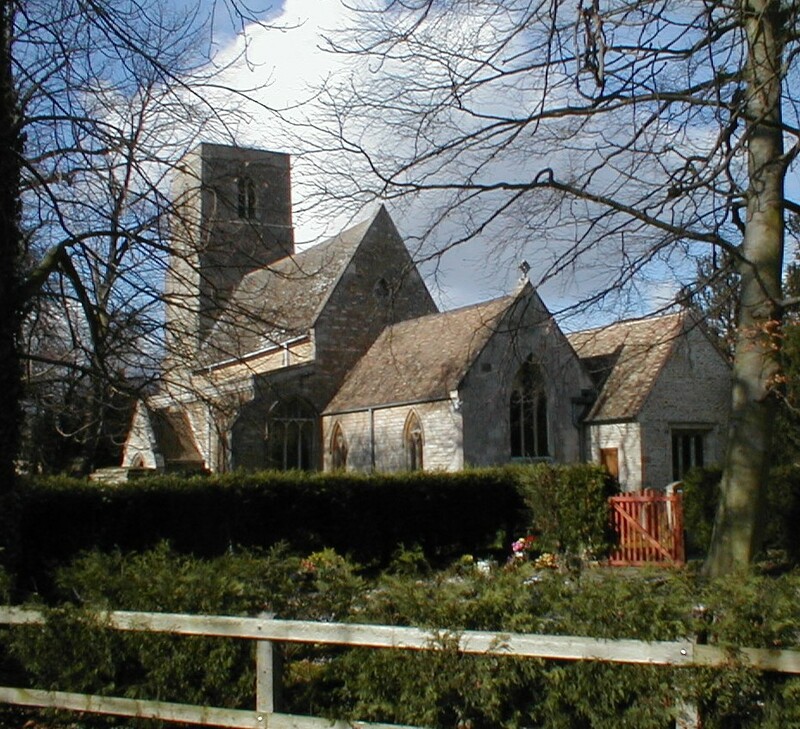 The Chancel and Vestry were rebuilt in 1808, the Vestry being shortened in the process. A Gallery at the western end was removed during restoration in 1857 and the South Aisle was partially rebuilt in 1908. The Chancel and Nave are noticeably misaligned (see photo below); this is known as a 'weeping chancel' and is evidently deliberate, although the reasons are still the subject of academic debate. The external appearance has also changed over time. The steeply pitched roof is characteristic of the local Collyweston style, which is traditionally steep (see for example the roof of the Bell Inn.) The C15th tower once had a squat pyramidal spire, clearly shown in a C17th illustration, but which had disappeared by 1885. An embattled parapet (see photo below) was removed during repairs in the 1960s. The Belfry formerly held a peal of three, of which two bells survive. They are still rung, but the advanced age of the cradle prohibits their being swung. The third bell was recorded as having been newly cracked in 1799. It continued to be rung until 1853 – one wonders what it must have sounded like – but was eventually sold at some time between 1859 and 1892. 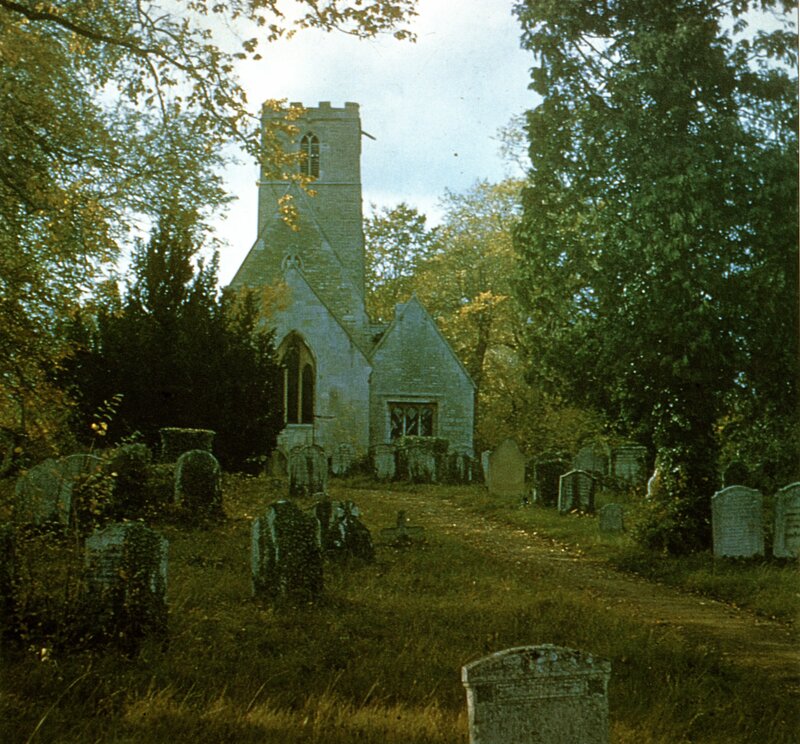 One curiosity recently discovered was a colour photograph of the church taken during WW2 by a USAAF serviceman and entitled ‘A church near Polebrook’ (see below). Polebrook was a bomber base, about five miles away. The strange caption is easily explained: during the war all roadsigns were removed to confuse any potential invaders, so the photographer had no idea of the name of the village he had found on his day off! The church continues to be a living entity. The handsome Meeting Room on the north side was added in 1993; an ambitious project which provides a much-needed village facility while blending beautifully with the original fabric of the building. 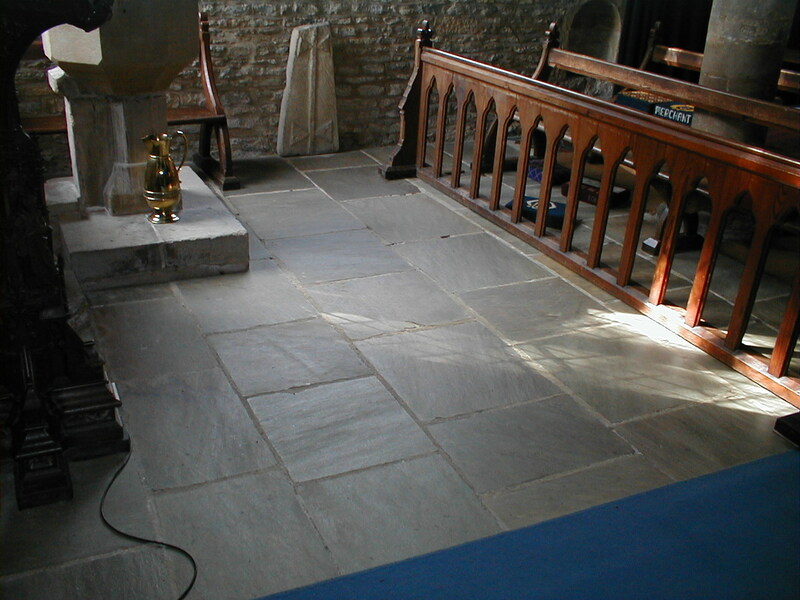 Internally, the nave was extensively re-floored in 2004, thanks to the support of many village residents who contributed to the ‘Buy a Tile’ appeal. 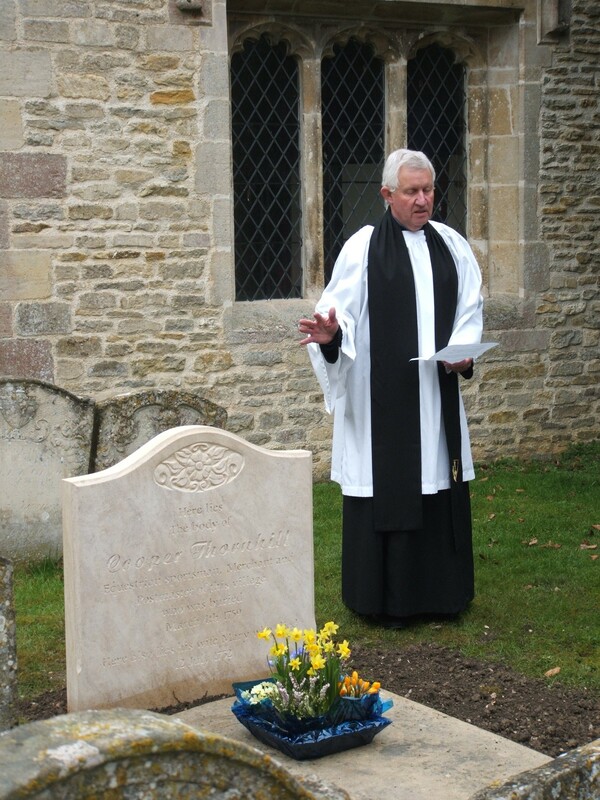 The scale and quality of both projects will be a lasting legacy to Stilton by Canon Richard Longfoot, who retired as Rector in 2011. The surrounding churchyard contains many memorials to former villagers. The most notable of these, at the end of the Chancel, is the grave of Cooper Thornhill, the former landlord of the Bell Inn who made Stilton cheese famous. In 2009 a new headstone was added to the original – badly eroded – slab tombstone. Much of this wear had apparently been caused by generations of Stilton youngsters sliding across it in their hob-nailed shoes! Within the church, the beautiful carved wooden lectern is a memorial to Lt John William Butts Archer, son of the then Rector Rev. George Archer and his wife Beatrice. John Archer served in the Buffs (East Kent Regiment) and died of wounds in February 1915. He is commemorated on the Menin Gate in Ypres. Interestingly, a smaller plain wooden lectern is the last remaining artefact from The Fenland Ark, a floating church that ministered to people living amongst the almost inaccessible waterways of the fens. Among other interesting memorials can be found the grave of Jean Habert. A former PoW at the Norman Cross depot, he remained after the Napoleonic War to marry a local girl, worked as a baker and was also landlord of the Talbot. Near the south door of the church can be found a memorial to the family of John Bodger, a celebrated mapmaker who lived in the building now home to our village shop. Weathering of the churchyard memorials – most of which are made from the local limestone – is rapidly eroding much valuable history. A recent project was undertaken to record as many inscriptions as possible; bona-fide researchers may examine the document on request to the Rector. We recommend ‘Stilton Parish and The Church of St Mary Magdelene 1086 to 2000’ – available to purchase from the church. ‘Somewhere near Polebrook’! Note the embattled parapet, since removed. 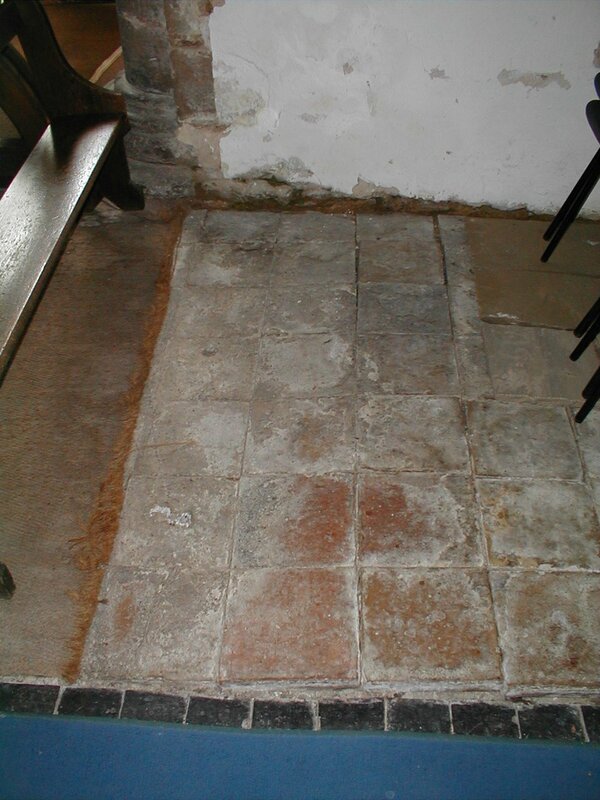 Stilton residents subscribed to the ‘Buy a Tile’ appeal to re-floor the Nave.